In the menu bar, click on History > Clear Recent History.. In the window that appears, click on the dropdown menu to the right of Time range to clear and select Everything. 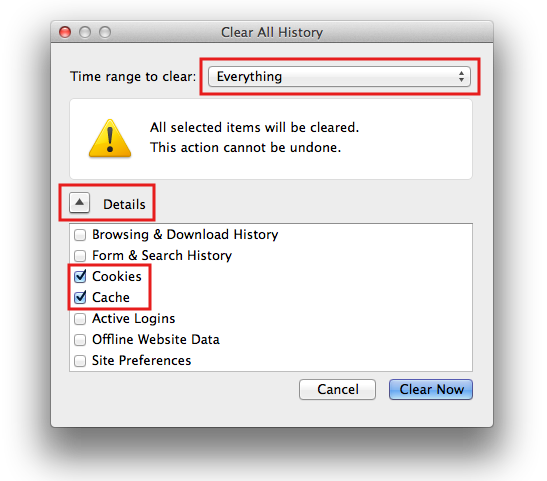 If necessary, expand the Detailssection and check both Cookies and Cache. Click Clear Now. The progress wheel may spin for a few minutes, depending on how much data needed to be deleted. Once it has stopped, the process is complete.